A bolder and sexier Erich Gonzales is set to portray three women whose lives are fused by love but destroyed by fate in ABS-CBN’s newest series “The Blood Sisters,” which can be seen in the Philippines via ABS-CBN channel 2, and outside the country via The Filipino Channel (TFC), with its pilot episode streaming simulcast its local airing via TFC online (www.TFC.tv) on February 12, in key countries worldwide. The story revolves around Erika, a dancer in a bar who uses her enthralling beauty to mesmerize men. However, behind the sultry moves lies a doting mother who strives to save her son’s life from a chronic illness. 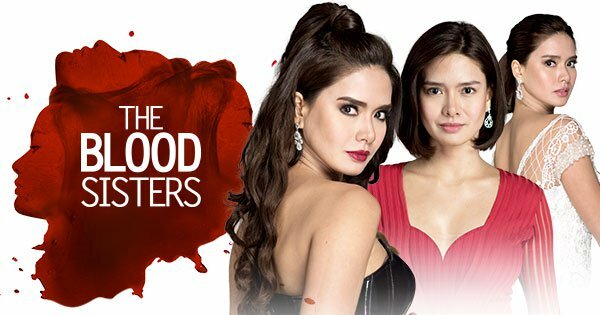 Don’t miss the thrilling story of Erika, Carrie, and Agatha in “The Blood Sisters” that will be seen outside the country via TFC. The pilot episode is streaming simulcast its local airing via TFC online (www.TFC.tv) on February 12 at 5:45 p.m. (Manila time), in key countries worldwide. Catch-up episodes will be available via TFC online (www.TFC.tv) and TFC IPTV, in key countries worldwide.